I have always been that girl who closes her eyes and turns into the wind to feel it on my face. The kid who loved math timed tests, thrived on the pressure, lived for the last two minutes of the game down by one…The woman so easily entranced by the aerodynamics of a hot sports car never noticing the guy driving it. I’m the one checking the response time on my internet browser, 0.63 seconds. Latency is not an option. High speed, low drag. Efficiency while maximizing performance. When it’s effortless, when you feel the smooth build and the weightless ease, exhale. These days, life moves at the speed of light. 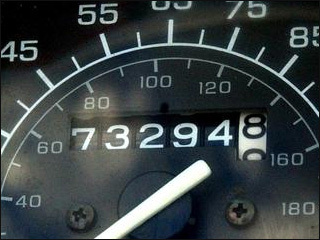 299,792,458 m/s and, truly, that’s really not an unrealistic number when I think about everything I juggle. The kids, the house, the training, a full time job, the coaching, the cooking, the blogging… and believe me this list is not an effort to complain. I love it. I love the balance, the dance you create inside your life and your space where you don’t just make it work, you make it excellent. It’s no coincidence that my goal with this training season is to get faster. 6 A.M. wake up, check messages, shower, the kids drop off in the morning, to the meeting across town, to the conference call with clients, the quick run at lunch with a friend, the starting dinner while recording blog ideas and recipes into a microphone. Then, the packing lunches while asking my daughters about their day, cleaning up the kitchen and grilling chicken for the rest of the week while they color and do homework at the breakfast bar. The hour at the gym after dessert, home made popcorn balls, the girls in tow with books while I turn laps in the pool or pedal off the miles for the day of training on my schedule. (Did I mention I signed up for a Half Ironman today? Yep, that’s in August. But that’s after a half marathon, a sprint tri, The Spartan Race, and some 10K’s here and there.) The research and reading when the house is quiet, planning drills for the next soccer practice, and writing the next day’s post before proofing an article for work. The phone call to a friend, the vacuuming, the laundry, the expense report, the grocery shopping, the quick email to my mom reminding her that I’ll be over for dinner with the girls tomorrow, shower again, check the clock, nearly midnight, sleep. I embrace the day, the pauses between the breaths, the smiles between my girls when I try to toss carrot sticks across the room in their open mouths when we are cooking dinner, the wave from the lady at the front desk of my gym because I meet her eye and smile, the text to a friend about getting drinks this week, the email from my co-worker encouraging me, the FB post to my running partner telling her I’m thinking of her, the handshake with a new client. I’m there completely for each moment, I let it wash over me, make it my focus, give it everything I have. When my daughters tell me about their day, I listen, I hear them, we connect, so that later when we go to the gym or they are at school they can know with quiet confidence that their mother loves them, listens and values them, and that isn’t dilluted by time spent apart because they feel it from me. People always ask me how I do it. I just laugh. People tell me I’ll burn out. I just smile. I’ve been living this way my whole life and it just keeps getting better, faster. And when it’s time to slow down, even for just a moment, I can, I do. But soon enough I’m off again, out of the blocks at a dead sprint letting each moment come, letting it happen, recongizing it’s signifcance and letting it pass behind me, glancing back every so often to see the wake. The glorious path mined, the life I’m living one fast moment at a time. I don’t know any other way. It’s my speed. Previous Post Grilling in February! Houston’s Honey Teriyaki Kabobs!